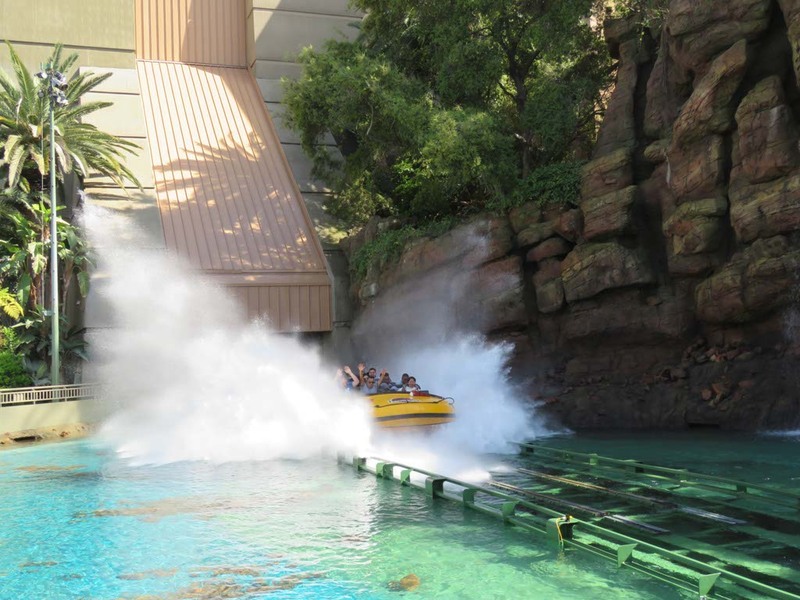 I’ve been to Universal Studios Hollywood a number of times before and I love the rides and shows. Fast & Furious, Revenge of the Mummy, and Transformers are my favorite rides and WaterWorld and the Studio Tour are my favorite experiences. None of them are possible for Athena at this age, though, so I wondered if it would be worth visiting Universal Studios with Athena in tow. 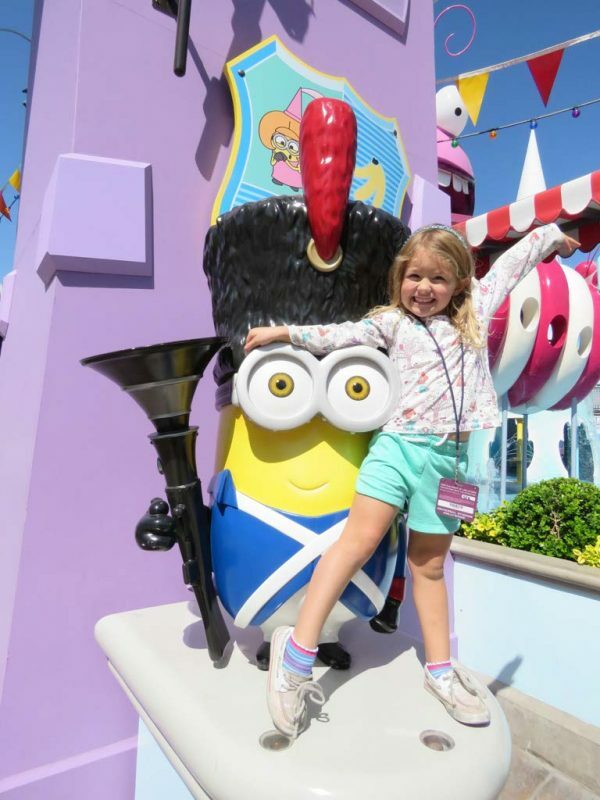 Today, we tested out Universal for kids and it was equally fantastic for her as it was for me. With Front of the Line tickets, we were able to fit it all in and with perfect California weather, we didn’t need to bring extra clothes. She met characters, watched shows, and rode rides from morning until night. As soon as we arrived, we made our way to Super Silly Fun Land. 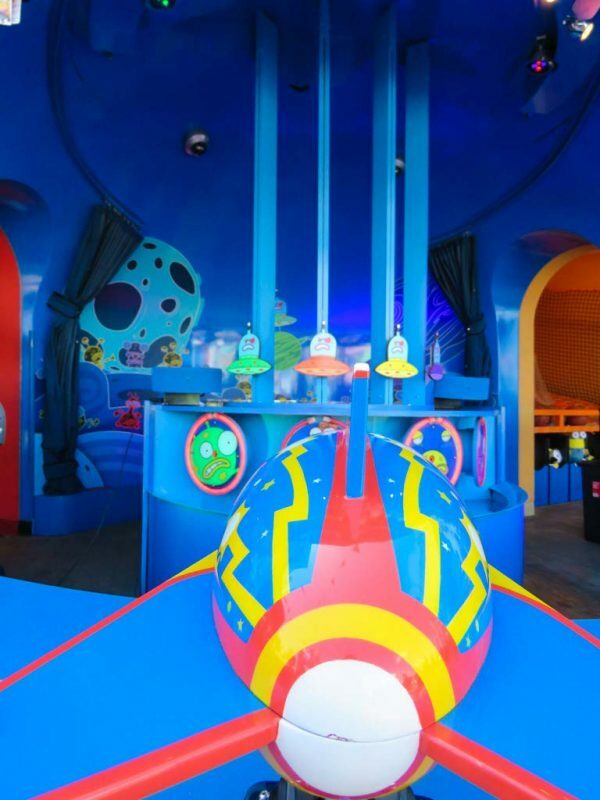 This colorfully themed, interactive outdoor venue is a literal interpretation of the seaside carnival from “Despicable Me”. It’s Athena’s favorite movie; she’s watched it dozens and dozens of times and can recite full scenes from her favorite moments. We saw a Minion guarding the entrance and she ran to his side. Could her smile get any bigger? We knew great things were to come. Normally, I don’t let Athena play arcade games because they are impossible to win at her age but we couldn’t leave without trying the “Super Silly Space Killer” arcade game where Agnes won her lovable stuffed unicorn. As soon as Athena saw it, she said, “It’s so fluffy, I’m goin’ die!” Like most arcade games, she didn’t win a prize but it’s not always about winning. I pretended to shoot the martins with my ray gun as she made sounds like it was blowing up. Reenacting the movie was just as good as winning a prize and I didn’t need to carry something extra around all day. On the Silly Swirly Fun Ride, we soared and spun around for a 360-degree view of Super Silly Fun Land. Although it wasn’t a fast-paced, extreme ride, I was smiling as much as Athena. Her happiness and love of the rides is contagious. Adjacent to Super Silly Fun Land is Despicable Me Minion Mayhem. 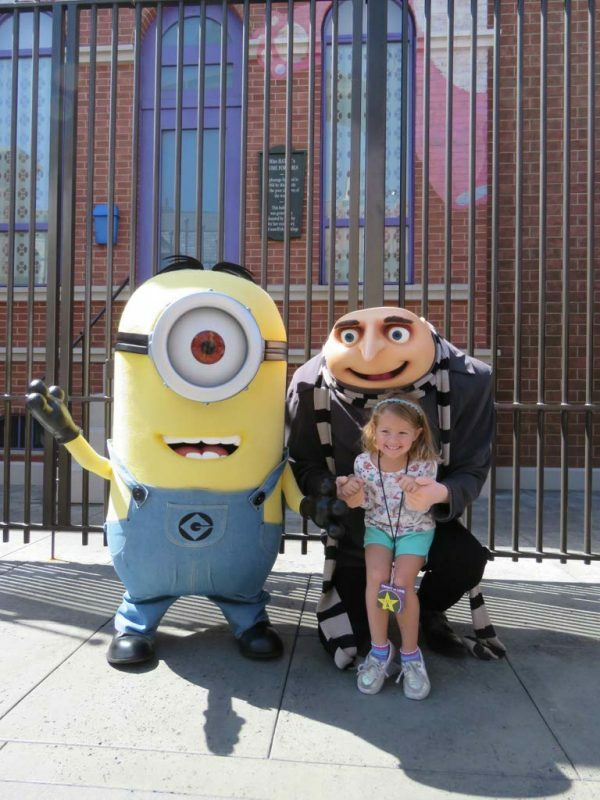 Athena had her picture taken with the girls and Gru and a Minion before entering the 3-D ride. We were grateful for the Front of the Line tickets at Despicable Me Minion Mayhem. It saved us almost an hour wait and we entered through a different door for better seats. We started our adventure in Gru’s home, where we were recruited for his latest scheme – one where we were about to become a minion. After making it through Minion training, things didn’t go as planned. Within moments, we were launched into an unforgettable trip through his super-villain laboratory. After the ride, we enjoyed an interactive, Minion-inspired dance party. This was one of Athena’s favorite rides in the entire park and we returned two more times throughout the day. 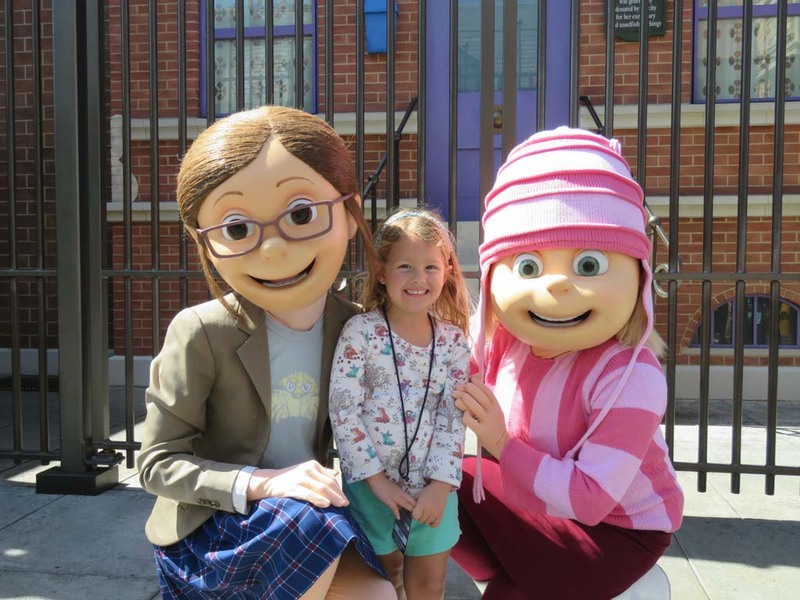 The characters from Despicable Me were Athena’s favorite but she was still beaming with anticipation when she saw Dora the Explorer and Sponge Bob. The characters make regular appearances throughout the day so it’s easy to get a photo with each of them. 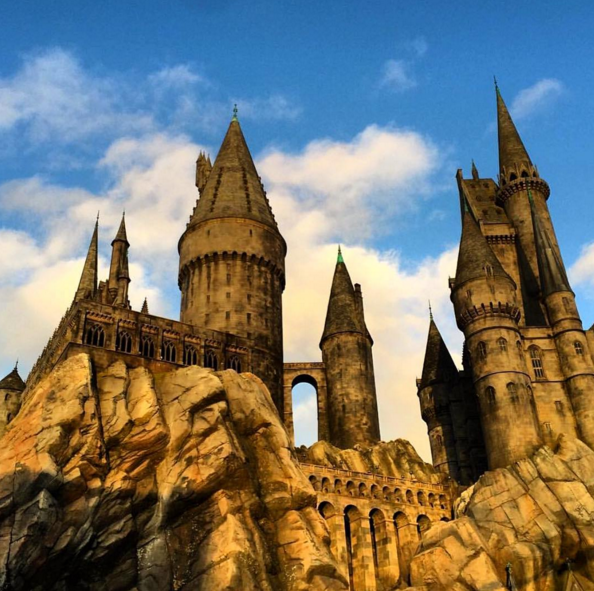 One of the busiest parts of the park was The Wizarding World of Harry Potter. It recently opened and it was packed with dressed-up characters from the movie. Athena is too young for the books, but I couldn’t go to Universal Studios without at least walking around The Wizarding World of Harry Potter. Would you think I’m a Harry Potter fan? I was teaching at the high school level when the books came out so I read them to connect with the students, but I secretly loved them. I couldn’t get enough. Surprisingly, Athena’s favorite moment of the day was at The Wizarding World of Harry Potter too. The Flight of the Hippogriff roller coaster spiraled and dove around the pumpkin patch and swooped past Hagrid’s hut. It was Athena’s first “big girl” roller coaster and she screamed with delight. She wanted to keep going on that ride all day but the line was excessive so we limited it a one time experience. The Lower Lot at Universal Studios, which has most of my favorite rides, wasn’t as spectacular for Athena. She couldn’t go on Fast & Furious, Transformers, or Jurassic Park, but we did find the Dino Play playground where she played for almost an hour while I rested. She loves interacting with other children and it was the perfect spot to recharge before continuing on in the park. We finished off the day with Skrek 4-D. 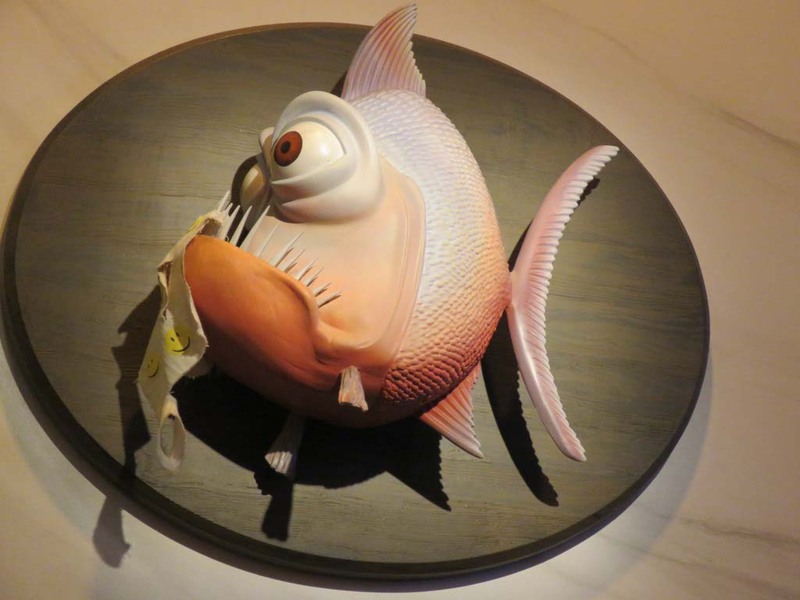 It features an original 3-D film starring the vocal talents of the movies’ original cast. After entering Lord Farquaad’s “dungeon”, we emerged into a 3-D theater where special effects and the miracle of OgreVision glasses brought the experience to life. We saw, heard, and actually felt the action as moving seats, water, wind, mist and other special effects put us in the middle of this fairytale adventure. It was a great way to end the day after hours of walking and exploring the park. I thought Athena might be too young to enjoy Universal Studios but I was completely wrong. She interacted with many of her favorite characters, discovered her love for roller coasters, and rode every ride possible. Even after six hours at the park, she didn’t want to leave. It was a special day together where it wasn’t just fun for one of us. 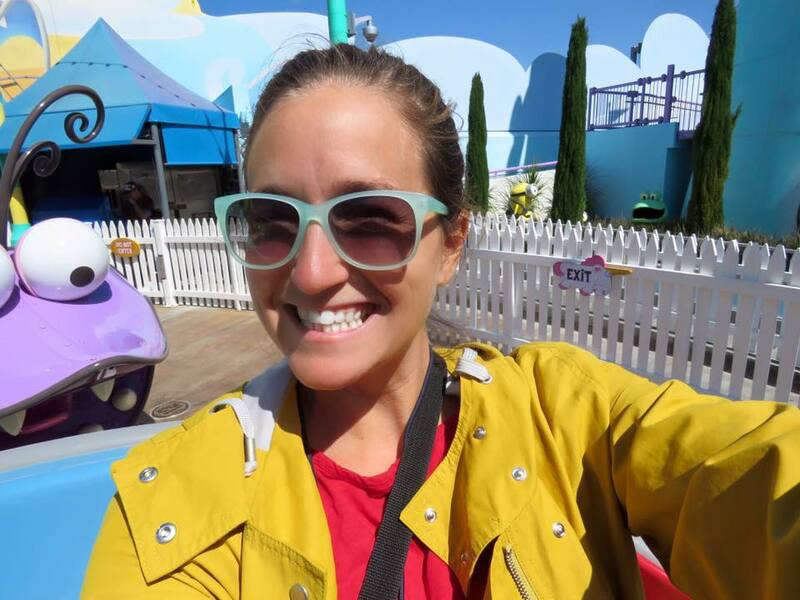 I may not have gone on all of my favorite rides but I had more fun than I ever had at Universal Studios and Athena is already planning our next visit. Thank you for this post! I have many clients ask me ‘what age’ they should take their children. I will direct them here for your great advice. What a blast! Looks like she (and you) are really enjoying every magical place! All those photos with the characters are adorable! These cookies are such a unique idea! I still love Lucky Charms cereal. Is that bad? haha… These are really fun and clever. I went with my girlfriend a couple of years ago but honestly I couldn’t even convince the girl to go on any rides! We will take our kids when they get a little bigger…they are still a little too small for the bigger rides. You guys looked like you were having such a fun time! Great coat too, where’d you get it? 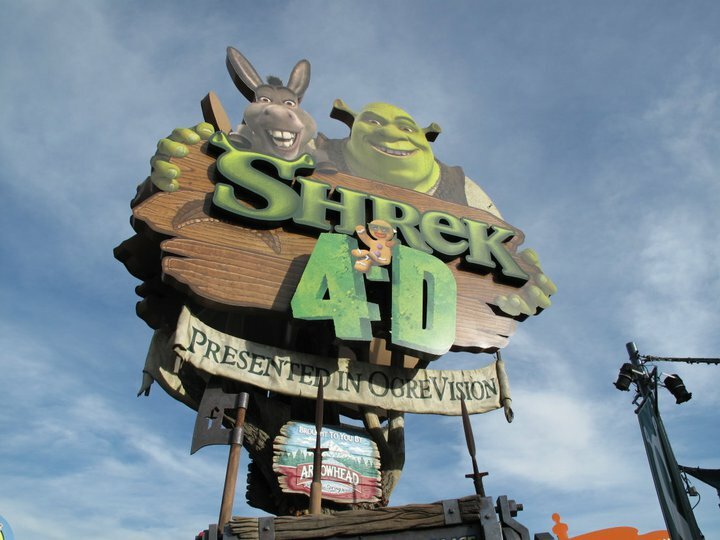 If my family and I go back there we really have to visit The Wizarding World of Harry Potter and the Shrek 4D! They are always full of people, but can’t let that prevent us from seeing it! Thanks for sharing your wonderful adventure! Now I want to take my god-kids to Universal. I thought they would be too young, but they are Minion obsessed and this looks like a great idea. 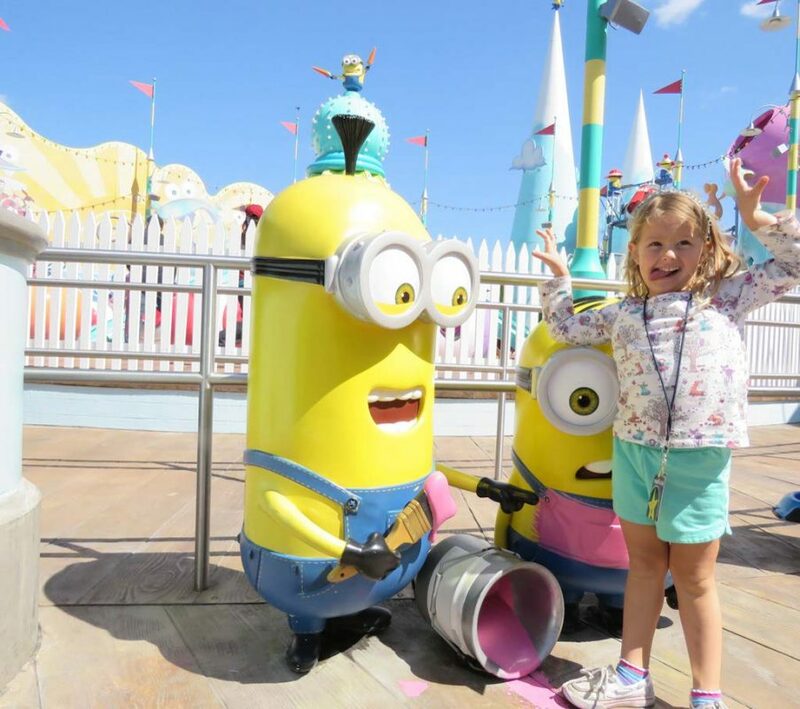 There’s nothing like experiencing the magic of a theme park through the eyes of a child! 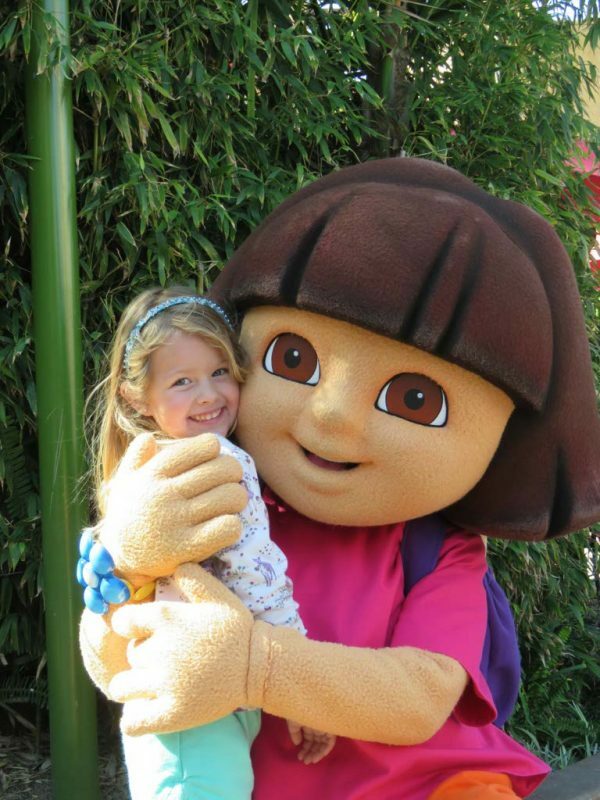 I would love to go to Universal Studios it would be a dream come true and your little one looked like she had so much fun! How much does it cost roughly? Oh my goodness, Athena’s smile in every single photo is just the best. It looks like she had an amazing time! What a fun day. The new Harry potter land looks very cool. I am not even a Harry Potter fan and I want to visit it! Going to Universal Studios as a kid is one of my favorite memories. Granted the park has evolved since then, but it still looks like tons of fun. Nice to see they have rides for the little ones. This post brought so many memories from my childhood! I loved going to the Walt Disney World and Universal Studio parks at Orlando. I use to go every year, and I still try to. Overtime I step unto a park I become like a 5-year-old haha I just love how much fun you can have in the parks. My kids would love this so much. One kid is a huge minions fan and the other is a huge Harry Potter one! They would both be in heaven! We have enjoyed great family trips to universal studios. It’s one of my kids’ favorites. WOW looks like so much fun! we have never been but we want too! – it’s great that you got front line tickets for the minions! We went there this year for the very fist time and we loved it. I think it might even be better than disney world, dare i say it. especially with the harry potter thing. It looks like y’all had a lot of fun! I really want to go to the Wizarding World of Harry Potter. I just love universal studios!!! Now that my daughter is all into the Minions I have been wanting to take her! How fun! 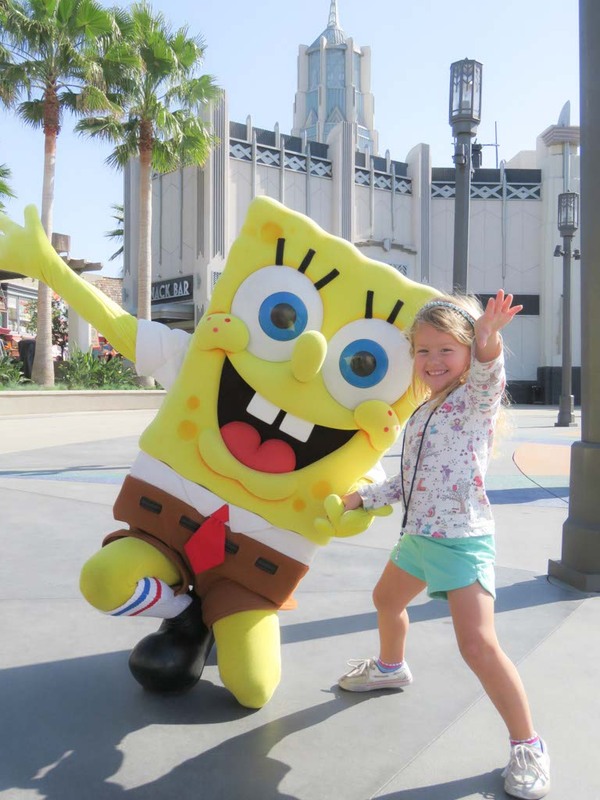 I am planning to take my daughter to Universal Studios this year! Looks like you had a great time. We went years ago and would love to go back. we actually took a trip to orlando a couple years ago and voted on Disney and I am glad we did it but I do wish we could have done this too. I personally think I would have like Universal better. My children and I had a wonderful time at Universal two summers ago! This looks like so much fun! I look forward to when I have older kids and we can go on fun trips like this! I soooo want to go to Wizarding World on our next trip to Florida but don’t think it will work out this year. I didn’t know the Despicable Me characters were there too. Thanks for the tips, sounds like a fabulous trip! We are close to Universal in Orlando and used to have passes. It’s one of my favorite places to go. They pay attention to ALLLL the details and make it really fun!